Instant messaging apps maybe a-dime-a-dozen with services like WhatsApp, Facebook Messenger and QQ taking up a lion’s share of the market worldwide, but Apple’s iMessage remains at the top of the popularity chart for iPhone users. While some Android users may also want to give Apple’s ubiquitous messaging app a go, the service is only available for iOS devices, with anybody migrating to Android needing to de-register from iMessage to be able to keep receiving texts from others. Now, however, there may finally be a way for Android users to use iMessage on their devices, if this Reddit post is anything to go by. The post, apparently from a 16-year old developer named Roman, details an app called weMessage that allows users to use iMessage on their Android phones or tablets. According to the OP, he created the app “due to the inability of people on Android to use iMessage’s ecosystem”. Going by some of the comments on the Reddit thread, weMessage does seem to work for the most part, albeit, with restrictions. You’ll need a Mac to get it to work on your Android device, a problem Roman attributes to Apple’s EULAs. To get the whole process up and running, you need two pieces of software. There’s of course, the weMessage app that can be downloaded from the Play Store, but there’s also a software called “weServer” that needs to be installed on a Mac computer. The weServer acts as a “bridge” between the Mac and the Android device by processing and relaying iMessages to and from the Android device. According to the post, “weMessage supports all of iMessage’s major features. 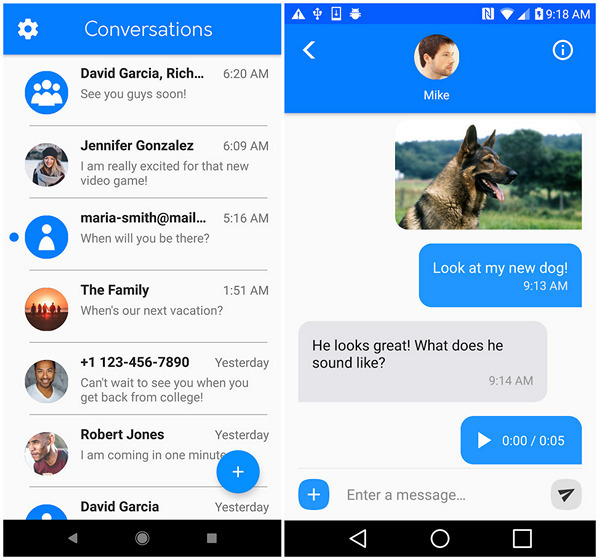 You can direct message, text to group chats, send attachments, be able to add or remove people from chats, and create, leave, or rename these chats. It also has notifications, Do Not Disturb, contact blocking, and adding pictures to individual contacts”.